Barbara Delinsky , While My Sister Sleeps. best-selling author brings us a masterful family portrait. Author: Barbara Delinsky, Bestselling Author of The Secret Between Us, will launch her New Book for her National Bookselling & Booksigning Tour at our Girls' Night Out Author Event! Cardiac Health is so very important. Heart attacks are now the Number 1 cause of death for women, more than all types of cancer put together. We encourage you to attend this very important Event and bring a loved one with you. Title: While My Sister Sleeps, $25.95 Hardcover, ISBN 9780385524926, On Sale Date: February 17, 2009, the Date of our Girls' Night Out Author Event! audience questions and she will autograph copies of her new book purchased from Rainy Day Books, on our website and / or at our Author Event, that are accompanied by a Stamped Ticket. We will give away André's Confiserie Suisses Chocolate Hearts. Remember that Dark Chocolate is good for your Heart. When: Tuesday, February 17, 2009, 7:00 PM, the same Date as the On Sale Date of Barbara Delinsky's New Book, While My Sister Sleeps! Admission Package (Click on the ADD TO SHOPPING CART button): $25.95 plus Tax, includes from Rainy Day Books, One (1) Stamped Ticket, One (1) Guest Ticket (if needed) and One (1) Copy of While My Sister Sleeps (Hardcover) to be Autographed after the Author Presentation. Please specify your need for One (1) Stamped Ticket and One (1) Guest Ticket (if needed) in the Notes field of your Online Order. If you choose Option 1 for In-Store Pick-Up, then you can specify At-Event Pick-Up in the Notes field of your Online Order. Thank you. Book Orders can be shipped worldwide. Barbara Delinsky, The Secret Between Us. Barbara Ruth Greenberg was born on August 9, 1945, in Newton, a suburb of Boston, Massachusetts, where she was raised in a family of lawyers. Her mother died of breast cancer, when she was eight, it was the defining event of a childhood that was otherwise ordinary. She took piano lessons and flute lessons. She took ballroom dancing lessons. She went to summer camp through her fifteenth year (in Maine, which explains the setting of so many of her stories), then spent her sixteenth summer learning to type and to drive (two skills that have served her better than all of her other high school courses combined). In 1967, she earned a B.A. in psychology at Tufts University and an M.A. in sociology at Boston College in 1969. Following graduate school, she was a researcher for the Massachusetts Society for the Prevention of Cruelty to Children. After the birth of her first child, Andrew, she took a job as a photographer and reporter for the Belmont Herald newspaper, and later for the Boston Herald. She also filled her time doing volunteer work at hospitals, and serving on the Board of Directors of the Friends of the Massachusetts General Hospital Cancer Center and their Women's Cancer Advisory Board. Barbara's career in writing began in 1980, after having a pair of twins, Eric and Jeremy, when she read a newspaper article about romance fiction. 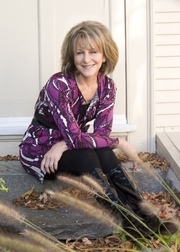 She researched the field, read 40 to 50 category romances and sat down to begin her own. She found that her background in psychology was helpful in "planning the emotional entanglements of (her) characters," and claims that she has "pulled on virtually every aspect of (her) background and of (her) life experience in general (in her writing)." Barbara Delinsky is nothing if not prolific. Since 1980, she has written well over 80 novels, and shows no sign of slowing down. She began signing her novels as Billie Douglass and as Bonnie Drake, now she signs her novels with her married name: Barbara Delinsky. More than 20 million copies of her books are in print worldwide, translated into over a dozen foreign languages. From Romantic Times Magazine, she's received the Special Achievement Award (twice), the Reviewer's Choice Award and the Best Contemporary Romance Award. She's also received the Romance Writers of America Golden Medallion and Golden Leaf awards. In 1994, Barbara was diagnosed breast cancer, like her mother. But it had surgery and treatment. And in 2001 she published the non-fiction Uplift: Secrets From the Sisterhood of Breast Cancer Survivors. Now, the Delinsky family resides in Needham, Massachusetts, where Barbara's husband is a prominent local lawyer. Barbara Delinsky is currently considered a "single author." If one or more works are by a distinct, homonymous authors, go ahead and split the author. Barbara Delinsky is composed of 19 names. You can examine and separate out names.